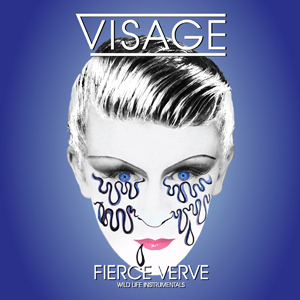 It’s been common knowledge that Visage have a new greatest hits album coming out on December 9th. It’s called “Wild Life” and is of some interest to the Visage collector, as well as the public at large. While there are five albums already drawing from the band’s Polydor/phase 1 era, this will be the first one to mix the singles released since 2012 with the “classic” period. In that sense, it tells a fuller story than all of the other albums. Casual listeners buying this will be served the hits they probably heard on the radio growing up as well as the modern material that far exceeded my expectations at the time and this is a good thing. But the promo for the release foretold of a CD/ 2xLP, and CDX. Everyone assumed there would maybe be a 2xCD with some rare mixes on it. I was waiting for the info to hit the web, having searched on the issue on a weekly basis for the last month or so. This morning I got an email from commenter Gavin alerting me to the full extent of the CDX version. It’s seven CDs worth of material; most of it from the phase 2 era! How Visage fans will interface with this demands some facts on the table first. Intriguingly enough, six of the seven discs in the limited set can also be purchased ala carte, which is more than fair, considering the asking price [£49]. What is the seven disc breakdown? I’m glad you asked. The basic CD is salted with at least three tracks on interest. The long-sought-after “Night Train” 7″ remix was supposed to be on many CDs already out in the wild, but this failed to happen. The extremely hot 7″ remix, edited down from the 12″ mix, was incredibly potent. I only have it on the Visage laserdisc I bought in the late 80s. The “Night Train” 12″ only has the 12″ and dub mixes. You had to own the UK 7″ for the 7″ remix. “The Silence” was a new song included in orchestral form on the “Orchestral” album, so I’m interested in hearing the full band version. It was an excellent, elegiac number that made perfect sense to appear at the end of Strange’s life. The mix of “Hidden Sign” is a new one, not previously on the single released in 2014. I’m not certain there’s any difference tot he original 7″ mix of “Tar.” I have it, and I played it once to see and couldn’t determine that there were any differences, so that means at least three tracks I’d want from this CD no. 1. The second disc is comprised of material that is here on a printed CD-R but otherwise available as a DL only. While the CD no 1. has the Polydor material from phase 1 on it, the early tracks here were re-recorded by the band in 2014-2014; probably because of licensing constraints on physical versus DL media. That said, I am more interested in hearing the late period band tackling this material! Visage phase 1 were studio monsters, but phase two actually played live and had a different vibe to their approach. Then, a previously unreleased track, “Tightrope,” is included as fanbait. Not bad! Possibly nine tracks of interest [depending on that “Tar” version, again]. I appreciate that they reveal up front that this is a printed CD-R. They are getting more common commercially in these, the end times, and while they are fragile, an informed consumer is a happy consumer. The third disc is of extended versions and remixes. Several are of interest. “The Damned Don’t Cry” and “The Anvil” have been on wax only, and an extended dub of “Tar” is something new here. I may assume that this was a post-modern mix, and “On We Go” was one of the few tracks from “Hearts + Knives” that was not a single, so the extended version here is a debut. Disc four is simply the “Hearts + Knives” album in instrumental form. All, technically, unreleased, though now you can focus on Robin Simon’s sterling guitar as well as the inventive bass approaches of Steve Barnacle with new ears. Disc five is the rather stunning “Orchestral” album sans voix. More technically unreleased material. 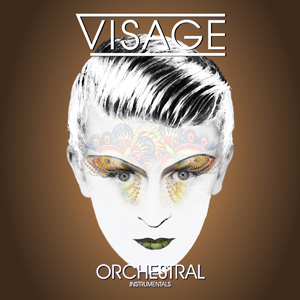 The sixth disc is the final Visage album in instrumental form. Ironically, the ninth track has already been released on the “Darkness To Diamonds” remix album. Yesssss. The crafty lot at the Steve Strange Collective, have insured that the usually redundant vinyl [I don’t have any of the modern Visage albums on vinyl, only the 12″ of “Lost In Static”] is the only place where the Antidote Extended Version of “Your Skin Is My Sin” appears. This causes me cognitive dissonance. The 7xCD set is a limited edition with the final disc appearing only there. 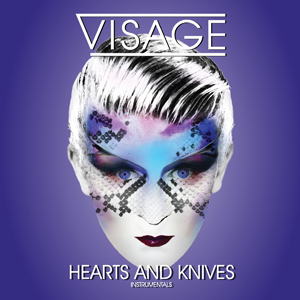 Price is a decent £49 for 56 tracks for the Visage collection. It can be ordered here. Act quickly if that seventh disc appeals to you, and the package included postcards, stickers, and signatures from the surviving members of the band: Steve Barnacle, Robin Simon, Lauren Duval, and Logan Sky. Worth it for the Simon autograph alone! It’s a good way for the Steve Strange Collective to accrue the funds needed for that Steve Strange statue, where all of the royalties are going [apart from the older tracks, one assumes]. Inasmuch as I can justify spending $61.16 on seven Visage CDs [I think its a fair price], having to fork out another £19 [$23.71 + 2xLP shipping from the UK] for that final remix is making me wonder if a strategic download might be the way to go on that track. It goes against my grain, but money is limited in these, the end times. I’ll have to get back to you on that one. Hopefully, we will have a review of the seven disc monster soon. Watch this space. Tomorrow we’ll go back to our planned post that got bumped for today’s news. 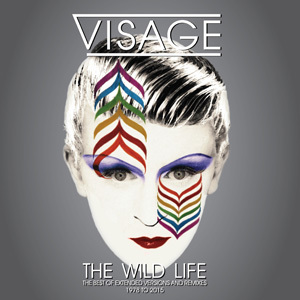 This entry was posted in BSOG, Core Collection, New Romantic, Want List and tagged 2016, BSOG, limited editions, Remixes, Steve Strange, Visage. Bookmark the permalink. Tim – You -are- aware that there is a new man in control of the largest stockpile of nuclear missiles on this planet? And that his picks for his administration make Famine, Pestilence and Death look like a walk in the woods? I just wanted to make sure that we were on the same page. I am no Trump fan (or TiC, Twitter in Chief as I call him) and I suspect that we’ll make it through his administration, probably up to our eyeballs in debt and with no social safety net. What concerns me more is climate change (my father – in – law has done several tours at MacMurdo in Antarctica as a contractor for Raytheon, he fixes the drills that they use to obtain the ice core samples) and this incoming administration is not at all going to be helpful on that one. I was intuited that was a political comment and not a “folks are not buying cds anymore and the end is here for that medium” comment, I just wanted to make sure that I read it right. 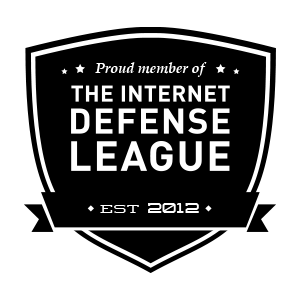 Your blog is generally politics free and it’s nice having a destination that is like that. Tim – Generally free of politics? And I thought otherwise! I may have to adjust a few dials, though I always take care to relate the political to the musical. Hmmmm The box set Atomic Platters (Music from the Cold War) seems to stop at a certain time frame. It may not be entirely political but I would love suggestions from the crew here of an imaginary (or not so much if I have my way) additional disk or two that carries the content completely into the 1970’s and 1980’s. I certainly like the fact that Visage is allowing you to choose and pay for the discs or DL you want.Instead of nearly every other act holding you ransom to purchase the box set (looking at you Simple Minds and NGD box) for that one elusive song or mix so kudos to them.I already have the first two Visage on CD and all the 12″ from the first two as well so perhaps it’s worth trying out the new material which I have yet to hear. jordan – Definitely go for a copy of “Hearts + Knives.” They left off many stellar tracks from this on “The Wild Life.” Particularly “Never Enough” and it’s godlike extended version! If that piques your interest [I can’t imagine it not, but you never know] then move forward with the rest. I am in the same boat as you Monk. The one song I REALLY want is that Antidote Extended Mix….but the vinyl interests me not. The Set is tempting, but I may go a la carte as I have so much of the recent material on cd singles and albums…Going to have to contemplate. I ordered this right away cuz i’m an absurd completist, but unlike you I remain very wary of re-recordings. Also annoyed that the 12″ of Night Train is missing. But nobody forced me to buy…I simply can’t resist big grand statements like this! Taffy – Oh, I’m not wary of re-recordings with groups I collect! That’s just more grist for the mill! 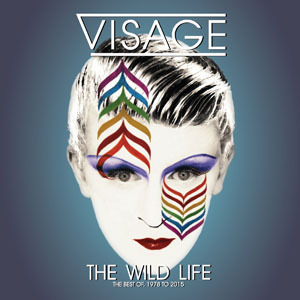 I’m definitely interested in the touring band putting their stamp on Visage classics. That live “Anvil” B-side, though rough, was exciting stuff. And when grand statements are affordable like this, they definitely don’t cause me angst. Rob C – I get what you mean. A full set of all singles on 2xCD would be impressive. My biggest chagrin over this set is that my favorite Visage song, “Never Enough” is not included! The least of which in its godlike extended version. At least they included Never Enough but to leave off Shameless Fashion was odd. I also like their cover of Loving The Alien from the final album. A 2-disc edition of all the singles in their 7″ form plus Strange Cruise singles & key remixes would have closed the book in an extremely satisfying way. That said I’m considering the 7-disc package though I know I’ll never listen to the instrumentals more than once nor will they make my iPod playlists. Couldn’t agree more – THAT I would buy; however, the track list of the official product is disappointing. Even the promise of that elusive “Night Train” edit isn’t enough. I might have been lured by radio edits of ALL the Mark II singles, though. On the other hand, SSC004 – Best Of Extended Versions & Remixes – looks decidedly more interesting. But is it the case that all the Polydor material is re-recorded versions from 2013/14?